This song (which means as long as my job is done, the citizens can go to hell) which symbolizes the attitude of politicians in India ironically shows the attitude of the makers towards the viewers and more importantly towards the fans of Salman Khan. I am one of the biggest Salman Khan fan and his antics no matter what the makers throw towards me, if it has Sallu bhai I definitely enjoy it. 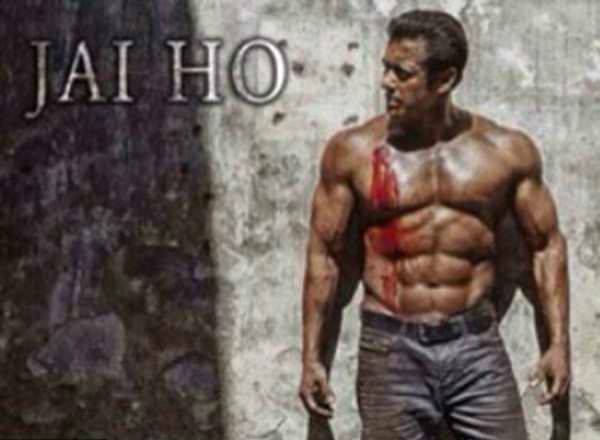 Jai Ho however left much to be desired even for a fan like me. 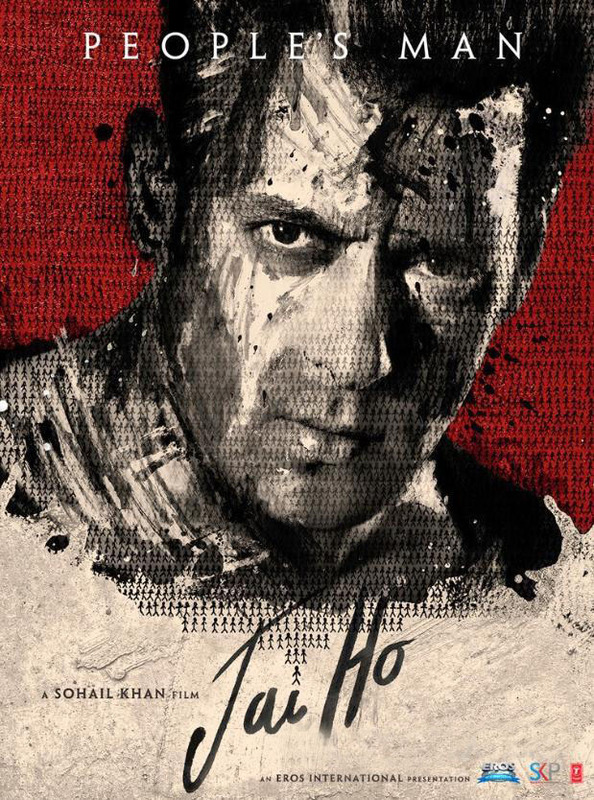 The JAI HO poster seems to be the only innovative idea which the makers got. The underlying concept to the plot is that one man can make a difference. This man starts a chain of good deeds and instead of accepting his gratitude he asks the person to help 3 other people and consequently ask them to help 3 more to continue this do-good chain. I am sure a common man can make a difference if he fights like an animal, has superhuman strength and can put down 10 men with one blow. I would also accept that because a hero is one in a billion, he can actually pull of feats of such inhuman strength, but then at the same time the character needs to be as strong as the physical strength. The director has failed to portray any depth in Salman’s character Jai and as a viewer I hardly connected with this common man. There are moments in the movie when you feel angry at the system but the director failed to build up on these moments and story appears to be hollow. Jai Ho ultimately becomes a collection of brilliantly choreographed action sequences, with fillers in between to justify the action. Salman Khan as usual shines as a court-martialed ex-army angry common man (the list is long) who would do good deeds on the streets but apparently doesn’t do much for a living. In Dabangg and Ek Tha Tiger his character had a reason and a cause which was enhanced in typical Salman flair. I was hoping really hard that Jai would be a common man I could identify with but was sadly disappointed. Even Salman’s usual histrionics are missing. 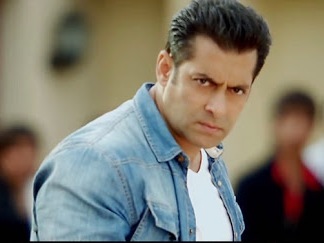 The action sequences and the bike chase are the only highlights of the movie done in true Salman flavor. Daisy Shah, the Gujrati lass who romances our superhero, has somehow perfected idiotic bimbo look with an equally stupid character to match. Tabu is the only other actor who has a meaty role similar to Salman and shows her brilliance. Danny, Ashmit Patel, Sana Khan, Brunah Abdullah, Yash Tonk, Vikas Bhalla, Monish Behl & Mukul Dev with a lot more actors just add to jamboree of actors which would have put Farah Khan to shame. The plot however fails miserably for any of them to showcase their real talent. Sorry guys Alok Nath was missing in this one. The songs are hummable but disconnected and one Gujrati song which quite explicitly uses a Hindi abusive word is quite irritating. Censors generally do miss “in your face” expletives. Sohail Khan fails to deliver what could have been a brilliant plot considering the wave of Aam Aadmi sweeping our country. Only if the complexities of our system could have been solved by beating up the politicians I would hone my martial arts skills. So, if you are a die-hard fan of Salman like me, I would suggest you watch the movie and enjoy your favourite hero’s action along with some popcorn. Otherwise wait for it to come on your cable. As for me I can watch it again only because of Sallu bhai. This entry was posted in India, Movie, Review, Television, Uncategorized and tagged Aam Aadmi, Common Man, Jai Ho, Salman Khan, Sohail Khan, Tabu. Bookmark the permalink.